Owl Things First! : Hump Day Highlight! 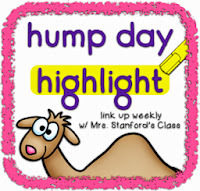 I am linking up with the AMAZING Jessica from Mrs Stanford's Class to share a Hump Day Highlight. With three days under my belt this week, my highlight occurred when an Owlet gave me a huge thrill. We've been reading books and poems about snowmen all week. 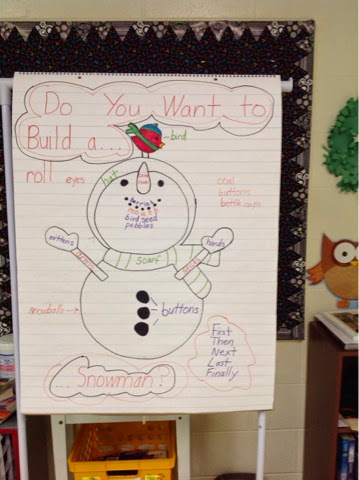 Today we brainstormed words we would need to use to write directions to help others build a snowman of their own. We used this cute snowman from Digital Bakeshop to organize our thoughts. When it was time to unleash my authors, they were ready to go. I wish I had brought home the piece written by the student who started the year out being unsure of letter sounds. The student who would write random letters down without any seeming organization. Her paper was covered with words front and back. The difference 82 days make is why we teach! I could read the whole thing with very little trouble. Sure, some of the letters were capital where they shouldn't be. Yes, it was missing most of the needed periods. BUT! It had voice. It had order. It had pride. It had attitude! What happened? No one told her she couldn't...so she did. What an amazing story! I love to see the progress every student makes throughout the year. Thank you for sharing! I love Digital Bakeshop clip art!! Thanks for sharing! Growth like that makes this job a joy even on hard days. That's the best part about teaching Grade 1...watching the little ones blossom!